Mother Daughter stories are precious to me for many reasons. I guess the first reason is because I was blessed with such a wonderful mother and we had a relationship that I treasured more than words can express. 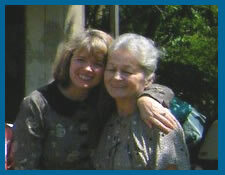 The second reason that the mother and daughter relationship is so dear to my heart is because my own dear mother is now with the Lord, so I cherish my memories of our own special mother daughter stories now more than ever before. I don't want to forget a single thing! Just about every treasured memory from childhood revolves around my amazing mom. My dear mother, Margaret York, was such a godly woman who loved the Lord Jesus Christ with all of her heart and had a great desire to please Him in all she did. It was my mother who I went to when I wanted to know "How can I go to heaven?" She was the one who shared the Gospel with me and prayed with me as I put my faith in Jesus. She instilled in me the understanding that I belonged to Him as well as a desire to please Him in all that I do, too. My mom was the one who taught me how to read and write and do basic math before I ever started school. She loved having us at home with her and was disappointed when summer was over and it was time for us to head off to school each year. 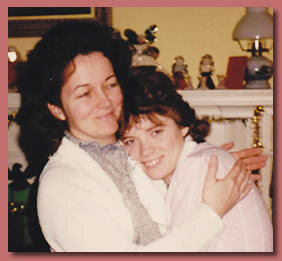 As a teenager, I felt I could talk to my mom about anything, and we only drew closer and closer with every passing year. In fact, she was my dearest friend my entire life. How privileged I was! One of the hardest things about being a "missionary wife" was living on the other side of the world, away from my mom. The Lord gave me the grace to do so, but He was so kind to let me speak to her nearly every day for the last few years of her life. 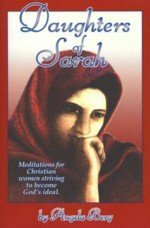 Even in death, my precious mother was very conscious of pleasing the Lord. Through her suffering and pain of the cancer, she was trying not to question the Lord and to simply trust His wisdom and plan for her in this part of life as well. I had the supreme pleasure and privilege of caring for her through her illness. Although those memories of her suffering are quite painful, they are also so dear. She taught me so much through her suffering. I have to admit that I wanted to cling to her and keep her here with me on earth. I begged and pleaded with the Lord to let me have her longer. It was through her pain that I got to the place of asking the Lord to take her so that she could be free from this "body of death." I wondered at the time if that is why God sometimes allows our dear ones to suffer - to bring us to the point of letting them go. 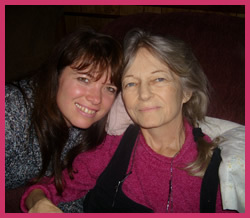 With my wonderful mother it was a case of mom teaching daughter how to live and how to die. What could I have asked for more? I can't really imagine! 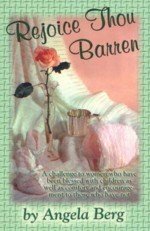 I hope you've enjoyed reading a few of my mother daughter stories. I'm sure I'll be sharing more mother daughter stories in the months ahead, particularly during those times when my heart is missing her a bit more than usual. Here are a few beautiful gift ideas if you want to treat your mother or daughter to something extra special while you still can. Would You Like To Share Your Mother Daughter Story? If you are a mother or a daughter (or both) and have a heartwarming story to tell about your relationship with your own mother or daughter, we'd love to hear it. Maybe you'd like to write a tribute to let them know how much they mean to you.